Hello all. This is a little spinoff of my own Koko AU that will run parallel to the main topic. Here I'll feature some passenger ships of the namesake Koko Maritime Transport Company for now limiting myself to the pre-WWII timeline. One of the oldest maritime companies in the world, KoKaYu was founded in 1873 as the Inahara Joki-sen Kaisha (Inahara steam shipping company), after its founder Hideki Inahara. The initial field of operations were exclusively devoted to cargo and freight transport on inter-island routes, moving supplies and materials to support the newly indipendent nation industrial developement. As the Koko's economy boomed in the next years, Inahara expanded its services with new cargo routes to Japan and the Hawaii and the first domestic passenger services. In 1889 the Kokoan government acquired 49% of Inahara Joki-sen Kaisha. The company remained a prperty of the Inahara family, but the governemnt involvement would be exstensive from that point on. Many smaller shipping companies were integrated and merget into Inahara in order to form a large group capable to compete with other large foreign rivals, like for example the Japanese NYK. The consolidated entity changed its name into Koko Kaiun Yuso Kaisha -ofthen shortened to KoKaYu Line- (Koko Maritime Transport Company), a name that has stuck ever since. During the same year the trademark blue funnels made their appearance and, with the black and white hulls, became a standard livery for the company. As the new century (1900) dawned, KoKaYu operated a fleeet of over 50 ships, both pure cargo and mixed passenger/cargo. It stll lacked, however, ships designed primarly for oceanic passenger service. To adress this shortage Iahara started a partnership with the Yamatogawa company, owner of a small commercial shipyard in Toumachi Bay. As new ships were designed with the aid of German (first) and British (leter) consultants, the Inahara family, through KoKaYu, directly financed a large expansion of the Yamatogawa Shipyards (which will eventually grew to become Koko's largest commercial shipbuilders, a feat they still maintain today). The partnership and financing was so succesful that until 1919 -when Koko's government nationalized the shipyard and started ordering warships there in addition to the military yards- Yamatogawa built passenger and cargo ships almost exclusively for KoKaYu. Before and after WWI KoKaYu fleet of passenger ocean liners flourished, with no less than twenty-six ships in service by 1928, steaming to Japan, the United States, Hong Kong an numerous southeast-Asian destination. The 1929 recession and progressive militarizaton ann isolationism the Country entered in the 30's under Morimoto's rule slowed the growth considerably. Notheless, when the Pacific War broke out in December 1941, Koko Kaiun Yuso Kaisha's fleet amounted to 30 ocean liners and 155 cargo and mixed passenger/cargo ships. World War II did however hit KoKaYu heavily. With all the company ships requsitioned for wartime duties the Inaharas could only wait and watch their merchant fleet being slaugthered. KoKaYu Line lost over 150 ships during the war to mines, submarine and air attacks, plus sabotages during Koko uprisings. Even accounting wartime production, 55 ships survived the conflict. Of them, only three of the 30 ocean liners. Over time, KoKaYu rebuilt its fleet in the post-war years. Today, with a fleet of over 700 vessels it is one of the larges shipping lines of the world and by far the largest one in Koko. Completely privatized once again it has three main subdivision under KoKaYu freight for all cargo operations, KoKaYu ferries for ro-ro, ferry and short-distance domestic service and KoKaYu cruises for leisure and cruise ship travel. Last edited by BB1987 on November 22nd, 2017, 8:21 pm, edited 5 times in total. The four liners of the Arakawa Maru class were the first ships puprosedly dedicated to passenger service built for the KoKaYu Line, and the first four-stackers as well. Despite usually referred as a class of four, the ships all had unique features, with the third, and especially the fourth sister, having vastly different specifications. Design started in 1896 with German advice, resulting in a preliminary design that bore large influnece from the NDL SS Kaiser Wilhelm der Grosse ocean liner. Planning went on until 1899 with British advisors replacing the Germans following Kokoan political shifts in 1897. The first ship, Arakawa Maru, was laid down at Yamatogawa in January 1900, launched in 1901 and completed in late 1902. The ship had an overall length of 201,2m, a beam of 20,9 and a draft of 8,8. Tonnage was 16.067 GRT. She had sixteen boilers and triple expansion steam engines driving two triple-screw propellers and was capable of making 20,7knots. Capacity was 1.654 passengers, of them 368 first class, 262 second class and 1.024 third class. Plus 456 crew. Arakawa Maru made her maiden voyage in January 1903 on the Toumachi-Tokyo route, and kept operating between Koko and Japan until the end of WWI, when she was moved to US bound crossings. She was withdrawn from service in 1928 and scrapped shortly thereafter. Teshigawa Maru was the second ship of the class, laid down in 1903, launched in 1904 and entering service in 1905. She looked almost exactly like Arakawa but with two main differencies. She was slightly longer, at 201,7m, thus owing to a greater tonnage of 16.310 GRT and a slighty lower speed of 20,5 knots. Also, her forward promenade was glass-enclosed to protect passengers from sprays, one of the first ships to adopt such feature. Capacity was 1.654 passengers, of them 368 first class, 262 second class and 1.018 third class. Compared to Arakawa Maru, two third-class cabins at the bow were rearranged as extra crew bunks, allowing to increase their number to 478, the extras being all first-class stewards. Like her sister, Teshigawa Maru served the Koko-Japan route until 1918 and was then moved to US service. She was withdrawn from service in 1931 and scrapped. Kuroda Maru was built on a further modified design. She was 7.5m longer than her predecessor (to 209,2), beamier (21,6m) and sat lower (9,1m draft), all for a tonnage of 18.964 GRT. Desite she fitted more powerful quadruple expansion steam engines her speed was only 20,2 knots given the rest of her populsion was basically unchanged. The slowest of the four. She was laid down in 1905, alunched in 1906 and completed in 1907. Capacity was 1.765 passengers: 444 first class, 303 second class and 1.018 third class. Plus 529 crew. Kuroda Maru joined Arakawa and Teshigawa on the Toumachi-Tokyo route and remained there until 1919, when she started to steam on the Koko-USA routes. 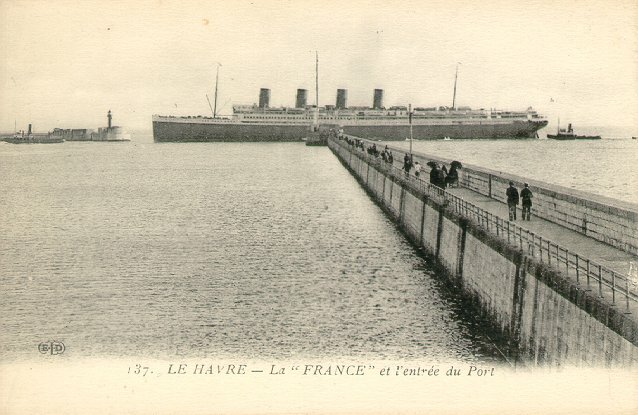 Despite intended to be modernized and refitted in the early 30's the 1929 depression led to the decision of withdrawing the old liner from service. She left port for the last time in 1933 and sailed to the breakers. Nagaisaka Maru was the fourth and last ships of the quartet, the longest-lived and also the largest. She was ordered well after the other three and despite her overall lines remained similar she was of a such modified design that she could be considered of a different class of its own. se measured 225,4m in overall length, 23,1m abeam and drafted 9,1. Her tonnage was 21.729 GRT. her boiler were larger, something reflected by the bigger -more spaced- funnels, feeding more steam to the reciprocating engines. The propellers were changed to four-screw ones. Overall this allowed Nagaisaka Maru to clock at 20,8knots, the fastest of the four sisters. Aestethically, the ship had a full extra deck on the superstructure with a second promenade level. She could carry as high as 1.904 passengers: 600 in first class, 414 in second class and 890 in third class. Crew amounted to 624 men. Nagaisaka Maru was laid down in 1909, launched in 1910 and completed in 1911. Differently from her sisters, she serviced the Koko-USA routes from the start, and did so for her entire career. Given her larger size KoKYu decided against her retirement, so she underwent a refit in 1932 to improve her amenities and engines. The boilers were modified to burn oil instead of coal, improving her fuel consumption and performance -21knot were not unheard after that-. Passenger facilities wer rearranged for a reduced number of 1.423: 448 first class, 318 second class and 657 third class. Both as a mean to offer more luxurious and spacious cabins and public spaces and as a response of the lower demand of passenger travel. Engine room crew was greatly reduced thanks to the oil-firing conversion but the number overall just went down by 26 to 598 given the extra stewards and cabin crew. At the start of the Pacific War, in December 1941, Nagaisaka Maru was requisitioned by Koko no Kaigun and modified into a troop transport. She was painted all-gray, recieved three 120mm guns, four triple 25mm anti-air machine guns, searchlights RDF equipments, extra lifeboats and two landing crafts. Her standard capacity was 3.000 troops plus 410 crew. In January 1946 she was withdrawing loyalist KnR and IJA troops from Attu when she was attacked and bombed by US-air force planes. suffering at least four direct bomb hits she quickly sank stern first with over 2.000 casualties. For width, the ones in the first three sisters are as wide as those on the German Kaiser-class, whose size is comparable. I do concur they might look on the small size (I got this feeling myself), but apparently history says it is right. Last edited by BB1987 on November 10th, 2017, 11:44 pm, edited 3 times in total. Miyabi Maru was a small ocean liner built in 1902/1904 for the Koko-Hong Kong route. She was 129,6 meters long, 15,9m abeam and had a draft of 7,2m for a tonnage of 6.724 GRT. Four boilers and a triple expansion engine driving a single three-bladed propeller pushed her no further than 12 knots. She could carry 651 passengers, 6 first class, 24 second class and 621 third class. Plus a crew of 201. Wort being mentioned, her -two- first class accomodations where more than a premium second class than anything else, as they shared most of the public areas. Whover paid for first class service however would have enjoyed much larger cabins with no shared bathrooms. A luxury for the time. After steaming back and forth for 24 years, Miyabi Maru was deemed too old and small to be worth of further service. She was thus withdrawn in 1928, giving the breakers much appreciated work. Last edited by BB1987 on November 12th, 2017, 11:47 am, edited 1 time in total. That's some great-looking liners you've got there! Very well drawn to boot, with a nice deck curve and details to spare. These are really cool. I don't know much at all about merchant shipping (especially Japanese-inspired stuff) so it's interesting to see the types of ships that would have been the targets of all the submarines I've been drawing recently. In fact the first liner (by WhyMe) was a German liner and the second (single funnel one) was British in origin, and very beautifully modified by BB1987.